Hi everyone! 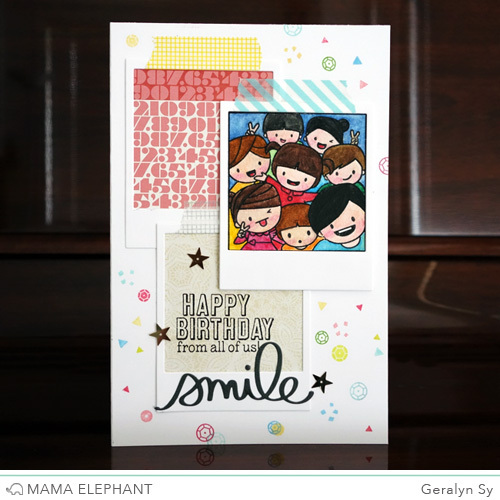 It's Geralyn here with a look into a card I made using the new Photo Bomb stamp set. Photo Bomb is perfect for those gifts that are from a whole group of people, and I wanted to create a large card (letter-sized paper folded in half) so that there would be plenty of room for everyone to write their message. I started by stamping and coloring the cute gang of friends, then die-cutting some polaroid frames (with Polaroid Fun) for my card. I arranged the polaroids on my card and added some patterned paper in two of the frames, then washi tape so that the polaroids don't look like they're floating. In the bottom polaroid, I chose a sentiment from Photo Bomb and added the smile script die-cut. The stamped confetti makes the card extra festive! Here's a look at my finished card. Thanks for stopping by! That is adorable. 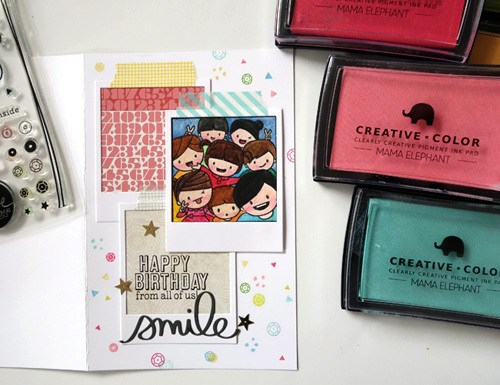 I love that stamp set, it's just too cute! Beautiful coloring and such a darling card! Hi Geralyn, love your card. 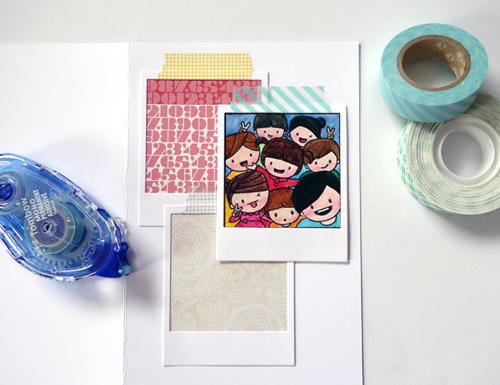 The photo bomb set has lots of potential - love what you did with your card, so colourful! That photo bomb stamp set is fun. That would be a great card for a coworker.